Nothing is worse than having the first serious cold snap of the year arrive only to find out that your furnace is no longer working. It may be possible to fix a faulty furnace, but if it’s already starting to fail than sooner or later it will have to be replaced. In order to know what to expect in terms of costs, there are several different aspects to consider. First and foremost, you need to think carefully about the type of furnace you want to purchase and install. Most types of furnaces have a lifespan between 15 and 20 years. What this means is that a lot of the furnaces that are available now are considerably different than the furnaces that were available last time one was installed in your home a decade and a half or even two decades ago. These days, most home furnaces run on natural gas, and costs can range anywhere from $2,500 to $10,000. In the past, oil furnaces were the most common. These furnaces are still available and they do cost a little less, but they are usually considerably less efficient than the gas counterparts. One of the newer heating options on the market is the heat pump, which works by bringing in ambient heat with refrigerant coils. These can cost anywhere from $1,500 to $7,000. There are other heat pumps that can draw in from the ground, but these cost between $7,000 and $25,000. 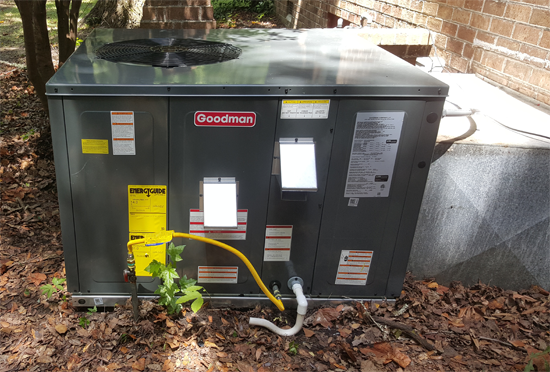 One of the advantages of heat pumps is since they make use of heat absorbing refrigerant they can double as air conditioners for the summer months with some simple modifications. A disadvantage would be that since these units work by using the available heat in the environment, in extremely cold environments they do not work so well. 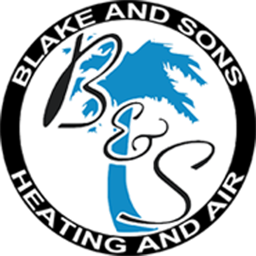 The heat output of a furnace is rated in British Thermal Units or BTUs. For the average sized home, a furnace with a 70,000 BTU output is more than sufficient. As such, units with an incredibly high BTU rating are more suitable for a warehouse space or a large home. A furnace with an excessive BTU level will tend to heat a space quickly and then shut off, which leads to inconsistent uneven heating which is not too comfortable. Older furnaces have an efficiency rating of 80 percent at the very most. What this means is that at least one fifth of the heat produced by the unit is lost. Newer models can have a 90 percent efficiency rating, and some can even top out at 94 or 95 percent. Of course, greater efficiency translates into reduced energy bills. Another important concept related to energy efficiency is that of “staging”. Older furnaces always ran at maximum heating capacity, which is described by saying that these furnaces worked in one stage. In contrast, new model furnaces work in two stages; they start up running at two thirds of the total capacity in order to save fuel before increasing gradually to near full capacity. There are even three stage furnaces that go from one third of the total capacity, then move on to two thirds, and than to full energy use. Of course you need to pay for skilled labor to install your furnace, and a local HVAC company will typically charge $2,000-$7,000. It will normally take around five to eight hours to install a furnace from start to finish. If you have a difficult space with unconventional architecture you may need to pay even more for any necessary duct work as the connections for furnaces have changed quite a bit since the mid nineties or early two thousands. Your furnace should come with two separate warranties. One warranty from the manufacturer which protects you against any mechanical defects in all parts in the equipment for a certain amount of time. Going back to our previous point, a second warranty needs to be provided by the contractor you hire for installation; this contractor’s warranty should make it clear that the contractor is obliged to make repairs in the case that the furnace stops working properly and there has been no misuse on your part. This labor warranty should last for at least one or two years. At any rate, make sure you receive this second warranty from your heating contractor in writing and that it unambiguously states what is covered.